A scenic picture taken of Mt. 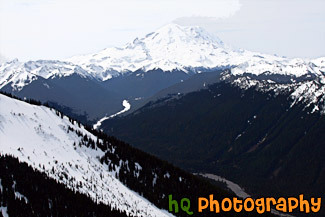 Rainier from the Crystal Mountain Summit. At the top of Crystal Mountain in Washington State, you get an amazing view of Mt. Rainier (when it is not hiding behind clouds).